Driving from Rawicz along the road no 36 towards Lubin you cross Wąsosz. There you need to follow the main road and arrive at the market square. At its end you ought to turn left in the direction of a new church. Near it turn left again and after covering around 100 m, the mansion is visible at a distance on the right side. 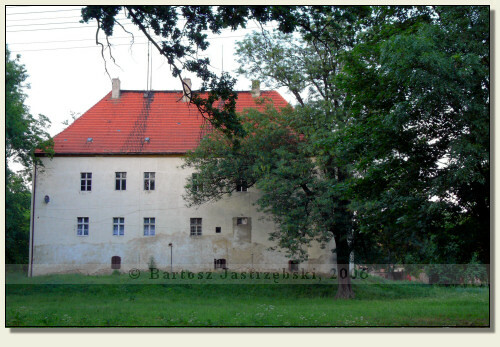 The castle in Wąsosz was erected in the XIVth cent. 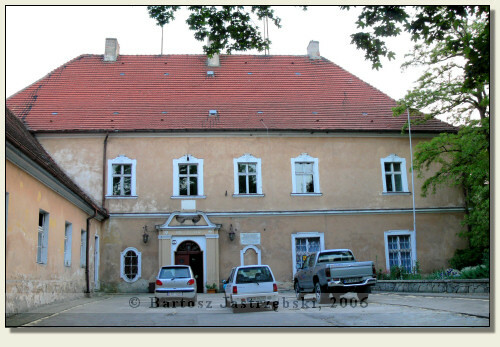 It was such a solid stronghold that it resisted the Hussites’ siege in 1432. The castle was changing its hands very often and was repeatedly converted. It was nearly completely destroyed during the Thirty Years’ War. The remnants of the stronghold were reconstructed in the XVIIIth cent. in the shape of a baroque mansion, which we can watch up to this day.